Chances are you know someone with a stent. Hundreds of thousands, maybe millions, of Americans walking around today owe their lives to a miniscule piece of mesh called a coronary stent used to prop open a clogged artery. For heart attack patients, stents provide the greatest chance of recovery of any medical device out there. That&apos;s not where researchers disagree. Since 1994 when the Food and Drug Administration first approved doctors implanting stents as a voluntary procedure — for instance, to relieve chest pain from stable heart disease — the use of stents in America became more than a lifesaving breakthrough. It became big business. 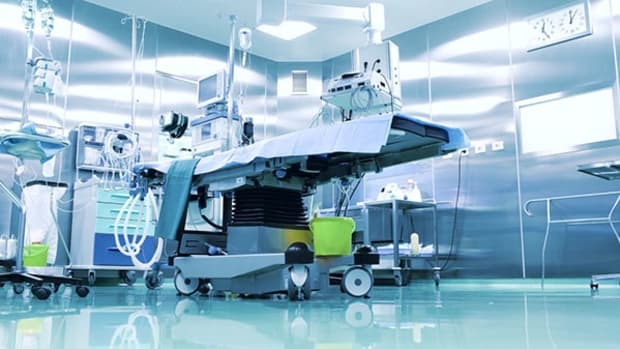 Over the past decade, hospitals opened up cardiac catheterization labs in record numbers and interventional cardiologists made huge amounts of money for a relatively easy procedure. By 2005, the stent market had reached nearly $4 billion. But like most things that provide quick relief, there was a cost in both dollars and possible side effects. Coronary stents (stents are used elsewhere, such as the carotid artery) represent an easier fix for addressing a clogged artery than bypass surgery, which demands a longer recovery period. While the price of a stent could be less than $1,000 for the bare metal kind and up to $4,000 for the newer drug-eluting type, the cost of the procedure and the hospital stay can be anywhere from $30,000 to more than $100,000. Compared to bypass surgery, stents cost less. As a result, the worldwide stent market, especially in the United States, boomed in the mid-&apos;90s then surged a decade later with drug-eluting stents — meant to prevent arteries from re-clogging by slowly emitting drugs embedded in the device. Common medical-device makers dominate the stent industry, such as Abbott Laboratories, Boston Scientific, Johnson & Johnson and Medtronic, which jostle back and forth as industry leaders almost year to year. In the latest market wrangling, Boston Scientific recently agreed to pay Johnson & Johnson $1.7 billion to settle a patent infringement case. Despite upheaval, the stent market continues to grow, overcoming several recalls and hundreds of pending lawsuits brought by patients. Stenting is by and large a safe practice, but with each of the major advancements in stent technology came setbacks in which people died. Doctors today better understand the precautions and limitations, though based on the numbers, physicians still do not fully comply with what many researchers see as appropriate medicine. Sorting out which medical interventions work best is no simple task. The Obama administration in the Recovery Act last year gave $ 1 billion in additional funding for comparative effectiveness research. While badly needed, the increase may prove a drop in the bucket compared to the onslaught of industry-funded research geared toward advancing the latest technologies and beating the competition. Industry research largely compares the latest technology with the even newer one, omitting whether the latest technology is better than something even older. In the case of coronary stents, Abbot Laboratories recently published a series of studies comparing its drug-eluting Xience stent to the drug-eluting Taxus stent by Boston Scientific, the market-leading stent at the time. The studies helped make Abbot the current market leader. In contrast, researchers who challenge a multibillion-dollar industry face intense pressures. Just ask Dr. William Boden, co-author of multiple studies and editorials that compare stents to standard medical therapy alone. A paper Boden co-authored on the Courage trial sparked widespread controversy in 2007 along with a similar trial last year with diabetics called Bari2D, both published in the New England Journal of Medicine. Both were randomized controlled studies that concluded that in patients with chronic stable chest pain, stents did not lower the risk for heart attack and death compared to medical therapy alone. Stents simply relieved their chest pain, Boden said. "[In response to Courage,] the industry unleashed a media blitz with publications and slide sets broadly disseminated that were designed to denigrate and discredit the study," Boden said from his office in Hartford, Conn., where he&apos;s a cardiologist. "It was very clear this was orchestrated, and it was deliberate. Everybody would be using the same slides over and over again, which more likely than not was aided and abetted by the device company." When Courage first appeared, critics downplayed the results. "They tried to minimize the findings," Boden said. "As it turns out, data we obtained from the American College of Cardiology national cath lab data registry, a large registry of participating hospitals with 2.5 million patients over the past three years, the percentage of patients [receiving a stent] with elective stable coronary disease or stable angina was 52 percent." Boden told me he&apos;s proud that Courage and Bari2D helped give doctors the confidence to practice medical therapy, such as exercise and eating healthy, as opposed to falling back on expensive interventions where it can be avoided. To understand the response to Courage is to understand what was happening in the stent market and professional cardiology at the time. The industry was on the road to taking a billion-dollar hit and doctors were looking for answers to serious red flags raised a year earlier around drug-eluting stents. "It was a perfect storm," Boden said. Drug-eluting stents are meant to prevent arteries from re-clogging, something called restenosis, which requires a repeat procedure to replace the stent. This was happening in anywhere from 5 to 30 percent of patients with bare-metal stents, depending on what study and what population was examined. 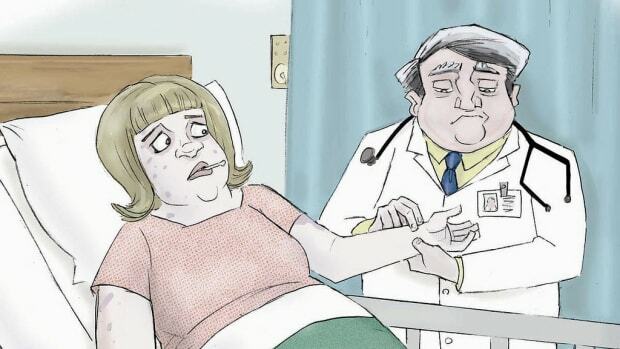 To some degree, doctors can now predict in which patients this is more likely to occur. According to some researchers, doctors can effectively limit the probability to around 5 percent, but knowing exactly is still impossible. So drug-eluting stents have become the fallback choice, representing more than half of all stents implanted by interventional cardiologists in the U.S., France and elsewhere. But many experts now say bare-metal stents are just as good, especially in heart attack patients. They pose fewer deadly risks such as sudden blood clots and the drawbacks of taking blood-thinning drugs for extended lengths of time. Today, around 1 percent of drug-eluting stents received by patients might cause a blood clot that could lead to heart attack, stroke or death. The likelihood decreases over time and depends on the severity of the original blockage. Researchers estimate 50 to 60 percent of stents implanted in the U.S. and some European countries today are drug eluting, though one market analyst I talked to said it was around 80 percent. This suggests that not only are doctors likely placing too many coronary stents, they are likely placing too many of the drug-eluting kind. Dr. Steven Bailey, professor and cardiologist at University of Texas Health Science in San Antonio and president of the Society for Cardiovascular Angiography and Interventions, said doctors are responsive to good science, but he largely dismissed the Courage trial. "The straw man in the study was that in a very select group of patients, everybody who needed bypass or angioplasty were removed," Bailey said. "The end point [of death] was somewhat unrealistic based on what we know about a population where we understand that with PCI [stenting] we aren&apos;t going to change their mortality. The benefit of angina [chest pain] relief is clear." In other words, we already know stenting doesn&apos;t extend lives for these people, that it only relieves pain. Bailey, who has conversations about critical decisions with cardiology students every day, said doctors have to keep adapting to the latest research with a critical eye. Interventional cardiologists have adjusted quickly, he said, to research into drug-eluting stents given that the market changes so fast. "The most difficult populations we see are more likely to benefit from bare-metal stents," Bailey said. "There are situations where we choose to do angioplastly and use drug-eluting stents. And there are patients we know that they do just as well with a bare-metal stent." Bailey denied that profits influence medical treatment decisions. "There are individuals who make those statements," he said. "I don&apos;t think the general perception is that physicians have been co-opted or coerced to do this." Part of the perception comes from stories such as one in 2004 involving nine cardiologists suspended from their Tampa Bay-area hospital for performing inappropriate angioplasties and stents. A peer review reported by the St. Petersburg Times found that, in some cases, doctors had "performed angioplasty on arteries that were not sufficiently clogged with plaque, propped open clogged arteries with stents of the wrong size or type and used incorrect or inadequate medicines to treat coronary artery disease." The doctors said the hospital was retaliating against them for choosing stents over what they said were the more expensive and profitable bypass surgeries. Last June, two of those doctors started performing angioplasties at an affiliated hospital in Florida. Drug-eluting stents got off to a rough start as soon as they hit the market in 2003. Several hundred among the first patients to receive them suffered heart attacks and strokes in unforeseen numbers after going off or failing to take clopidigrel, the blood thinner sold as brand name Plavix in the United States. Far more critical than restenosis, blood clotting — called stent thrombosis — could result in sudden death. The FDA issued a bulletin to doctors about the blood clots and to keep patients on Plavix for at least a year and never stop taking aspirin. Today, close to 300 cases from events in 2003 are still pending in Florida state court as a mass tort claim against Johnson & Johnson. Lead attorney Ted Babbit, in West Palm Beach, Fla., says Johnson & Johnson should have known about blood clotting when it put its Cypher stent on the market. "Virtually all of them were on Plavix for the recommended three months that the manufacturer indicated was appropriate and then had a stroke or a heart attack after being taken off the Plavix," Babbit said. "Either they knew, they should have known or their underlying research was inadequate to tell doctors what they should have been told, which is we don&apos;t know how long people should be on Plavix." The cases against Johnson & Johnson recently won exemption to another Supreme Court ruling that shields medical device makers from lawsuits if the FDA approved it. Discovery was expected to begin in February. "The idea that the FDA can possibly catch all of these problems is ridiculous," Babbit said. "The FDA under the Bush administration was tremendously under-funded. They didn&apos;t have the wherewithal to really go behind what the manufacturers were saying. They had to rely on the manufactures to tell them their products were safe. In my opinion, that&apos;s the fox guarding the hen coop. The only thing keeping them honest are lawsuits like ours." In 2006, the stent market was hit with another blow. The possibility of late stent thrombosis, the same as before but this time blood clotting after one year, came up in a series of studies published in the New England Journal of Medicine. The FDA convened a panel of experts shortly after to sort out the evidence and physicians once again were bogged down in comparative research. Then came Courage, which questioned whether stents were a good idea at all in stable patients. Later that year in 2007, a paper based on a large worldwide registry of data from 100 hospitals in 14 countries, called Grace, further raised the risk of late stent thrombosis. The results gave doctors greater understanding about which patients are best suited for drug-eluting stents, though actual medical practice seems to still be lagging. Dr. Gabriel Phillipe Steg, a professor of cardiology and director of a coronary care unit in France, co-authored dozens of articles based on the Grace registry over the past 10 years, including the paper on late stent thrombosis that got so much attention in 2007. Since the study came out, additional research into late stent thrombosis indicates it&apos;s less of a risk than originally thought. Still, Steg said the more conservative approach for heart attack patients is to implant a bare-metal stent rather than drug-eluting. Steg said that in an emergency room setting, when a cardiologist is saving a patient&apos;s life, re-clogging of the artery — which drug-eluting stents are supposed to prevent — is "a footnote in the medical history." "There are circumstances where drug-eluting stents might not be the best choices but they are an advance in angioplasty overall," Steg said. "They are progress, but we have to be careful. We shouldn&apos;t use them across the board for everybody. There are good candidates for drug-eluting stents, mostly for those who undergo a procedure electively, but for those who receive stents as a heart attack patient, maybe some patients would do better off under bare metal stents." Today, drug-eluting stents comprise up to 80 percent of the nearly $4 billion U.S. stent market, said Venkat Rajan, research analyst with market consultants Frost & Sullivan (www.frost.com/). In 2005, the drug-eluting to bare-metal share was closer to 90 percent, he said. Outside the U.S., the share is closer to 70 percent. Mattias Neyt, an economist at Belgium&apos;s Healthcare Knowledge Center, which performs health technology assessments, co-authored a paper in the journal Health Affairslast year that said drug-eluting stents were not a cost-effective choice even in patients with a greater likelihood of an artery re-clogging. The paper analyzed the costs of bare-metal stents versus drug-eluting relative to repeat procedures and the gain in expected life years. Drug-eluting stents costs a few thousand dollars more than the bare metal kind, not much in the total bill for the procedure, but enough to tip the balance. "This extra cost was not in balance with the extra benefit," Neyt said. "We see that there are other interventions with better cost-effectiveness ratio to invest your money in as a policymaker instead of doing it in a drug-eluting stent." Registry data from patients in Belgium, Neyt said, suggested that repeat procedures needed from bare-metal stents occurred in about 15 percent of patients, and that restenosis was the cause of just half, a portion of which could be avoided, leaving just about 5 percent of unavoidable restenosis. Given this relative risk makes the cost-effectiveness of drug-eluting stents much less, he said. An estimated 700,000 Americans will have a stent implanted this year in one of their arteries either after a heart attack or stroke, to prevent one from happening or simply to relieve their chest pain. There&apos;s no doubt these tiny devices are a medical breakthrough, but whether doctors are implanting too many and whether as a society we&apos;re paying for too many is a question for future expert panels to decide. Is Summer the Sanest Season? 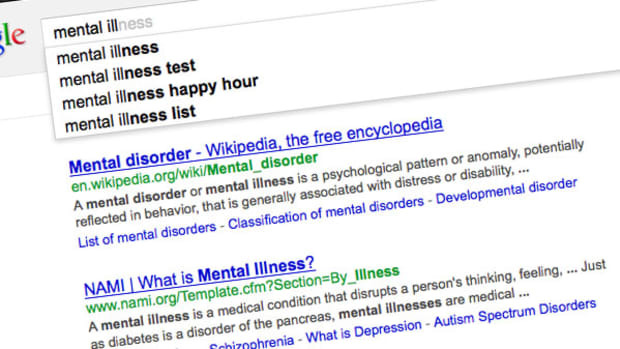 What Google searches tell us about the seasonality of mental illness.